With the hot Summer days and even hotter Summer nights here it seems time to cool down. Ideal party wear for thos hot Summer BBQ's or for just resting beside the pool. 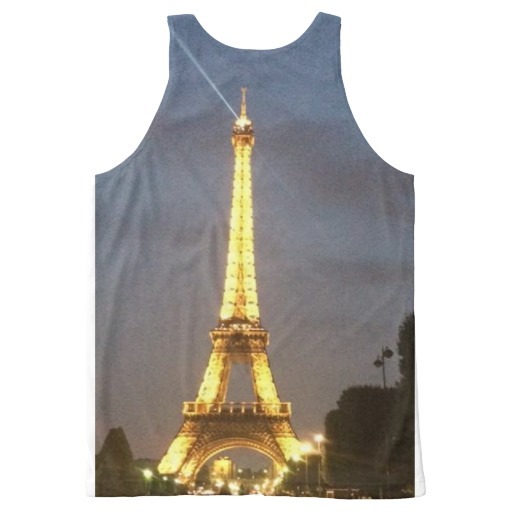 This new shirt features a vibrant color image of the Eiffel Tower at night. The tower which stands over 1,000 feet high has dominated the Paris skyline for over a century and in recent years has been illuminated in the evenings. Whether you have been to Paris on work or vacation this image will bring back memories. If you have only dreamed of taking a trip to Paris having this shirt will make you feel the dream has come just one step closer.